Outlaw Kissing & Dating Game. This Outlaw is Kissing the Princess. This Outlaw could be Robin Hood from Sherwood Forest, in Nottinghamshire. 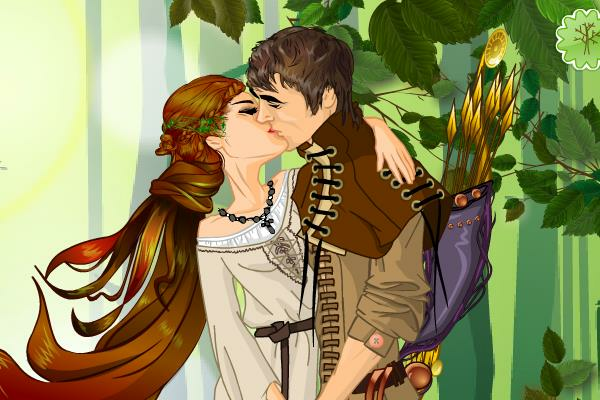 Dress this Cute Couple Up in a Romantic Fantasy and Fairytale Way.